As the number of assaults on bus drivers continues to rise, TransLink has announced it's finally ready to install safety barriers on hundreds of its buses. The transit provider spent two years testing different designs and collecting feedback, and on Thursday said it's ready to move forward retrofitting 208 regular buses and six trolley buses. All future additions to its fleet will also arrive with barriers installed. The final design includes a sliding glass window that allows drivers to interact with passengers face-to-face, without obstruction – something driver Dee Cooke sees as a key feature. "I love that this window slides. This is such a great option," Cooke said. 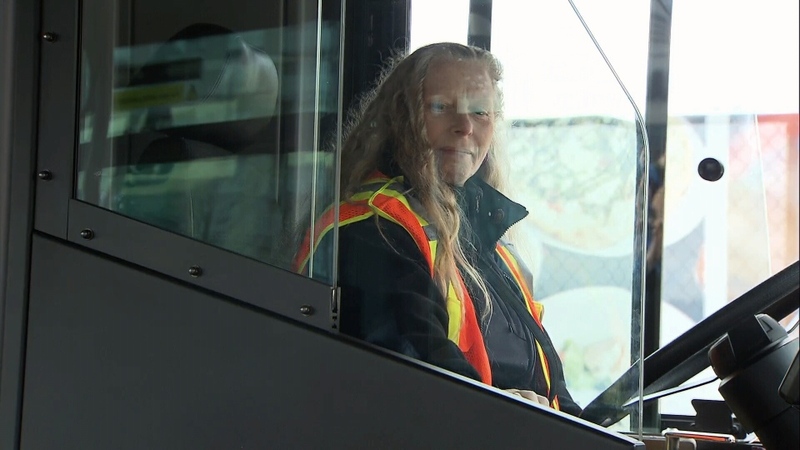 The protective barriers are a response to the overwhelming number of assaults on bus drivers reported every year; Coast Mountain Bus Company, TransLink's largest operating company, said there are roughly 100 attacks annually. "It's everything from being yelled at and threatened to being spit on and physical attacks, which is punching and kicking and that sort of thing," said Derek Stewart, director of safety for CMBC. Some of those assaults are very serious, like the attack that left driver Charles Dixon with a broken orbital bone and brain damage in February 2014. The same year, another driver was brutally beaten for asking a man not to swear on the bus. He suffered broken bones, loosened teeth and vision problems in one eye. TransLink said the retrofitting of its hundreds of existing buses will start by the end of 2017 and be completed within two years. Within a decade, the transit provider expects to have protective barriers in three-quarters of its fleet.